Now in its fifth year, Lancashire’s Vital Signs is a unique giving guide that reï¬‚ects factual data and the voices of local communities in order to guide charitable giving across the county. As your local Community Foundation, we have been working hard to make sure that we utilise the findings in previous Vital Signs reports to inform our grant-making as best as possible – ensuring that the funding we distribute is meeting the greatest of needs within our communities. Last year, in our 2016 edition of Vital Signs, we identified Strong Communities, Education, and Healthy Living as the top three priorities for our region. 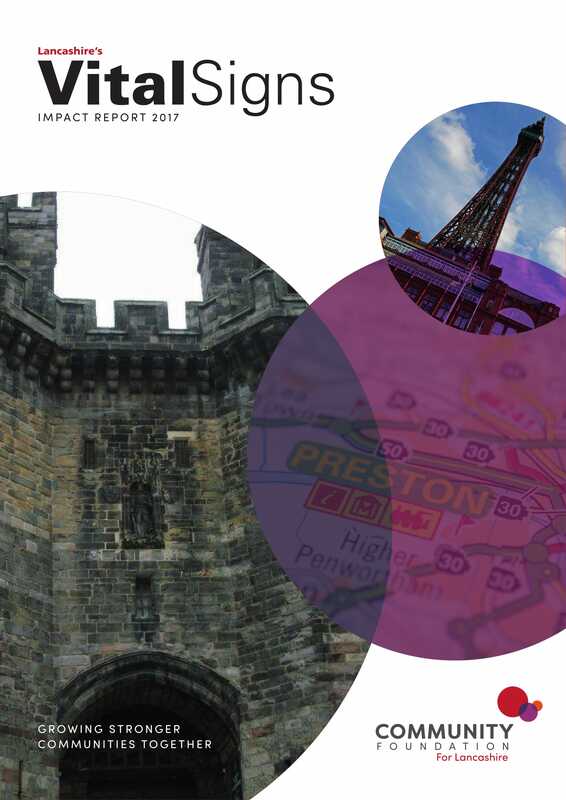 In this report we will outline what the Community Foundation has been doing over the past 12 months to address these three key issues, as well as what our plans are for the future. Read this guide, find out more, contact the Community Foundation, take action and spread the word!